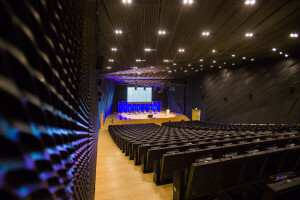 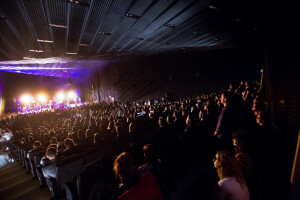 Auditorium is located on the groundfloor of the International Congress Centre. 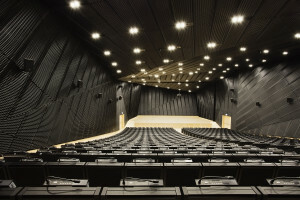 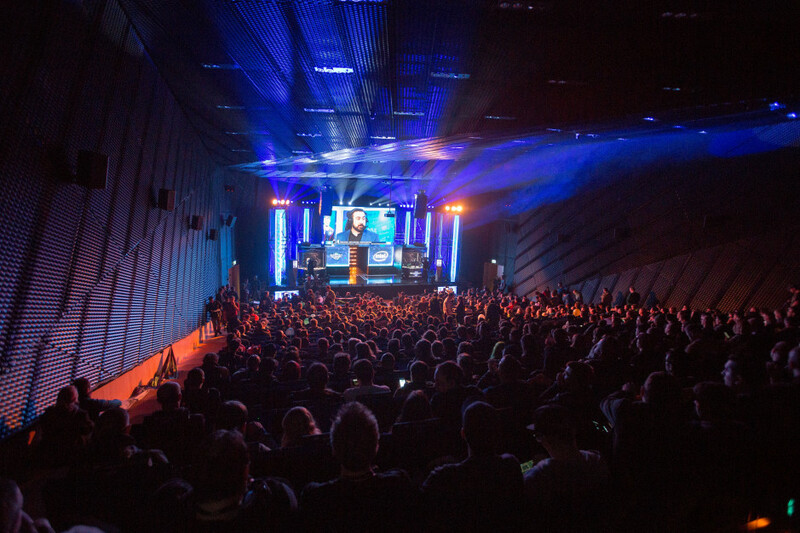 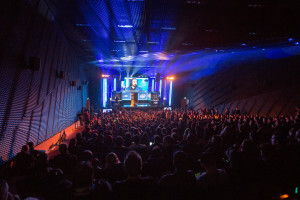 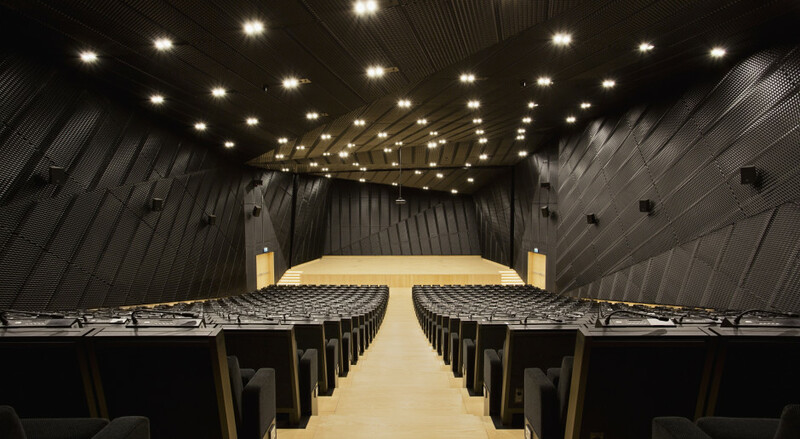 It is furnished with 570 soft, comfortable theatre seats, each with its own microphone and voting system. 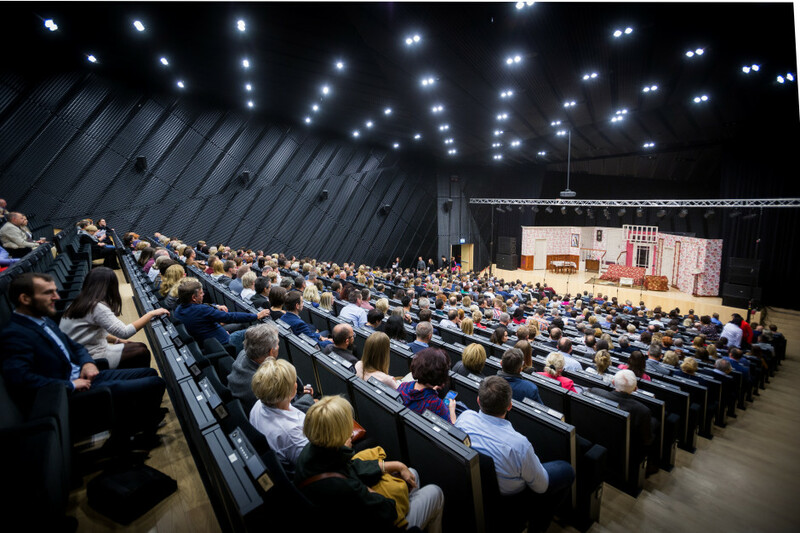 This unique and original space of 588 m² is perfect for congresses, lectures, conferences, concerts, shows, and discussion panels. The Auditorium stage is 8 x 16 m and has its own back entrance for professional organisation of stage events. 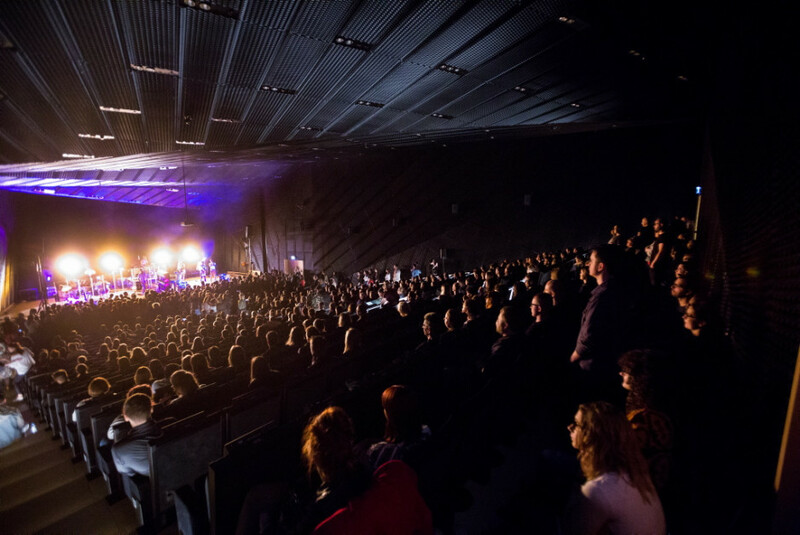 The Auditorium is equipped with a high-quality sound system and is acoustically separated from the foyer and other parts of the building. Part of the Auditorium is occupied by translator booths for simultaneous translation. 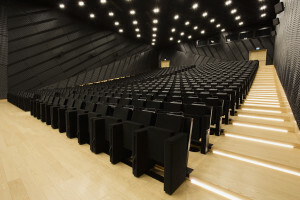 Attached to the Auditorium is an upper foyer, accessible from the room's upper level, and a ground-floor foyer, accessible from the room's lower level. 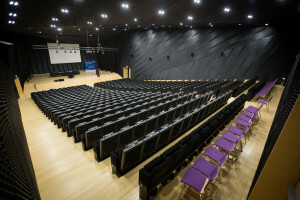 The spaces are connected by stairs, and have independent bathroom facilities and coat rooms. 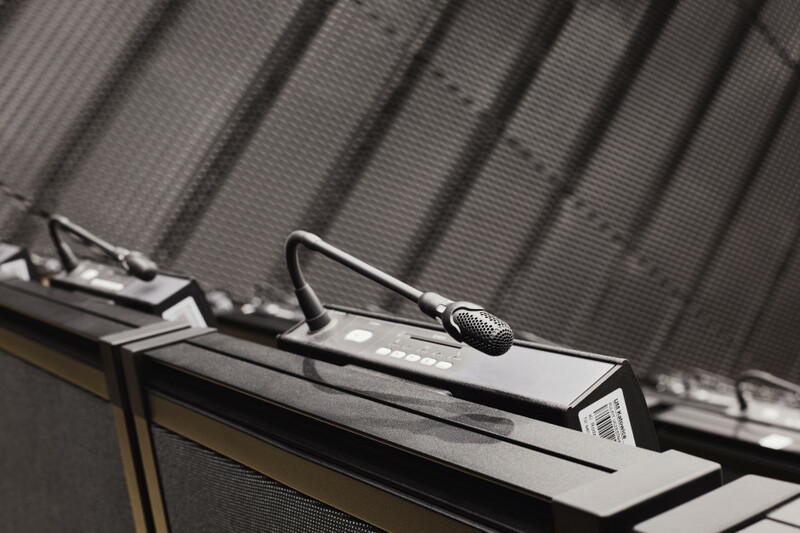 These features of the Auditroium allow for closed banquets, cocktail parties, and seated receptions with private catering. The upper and lower foyers of the Auditorium can accommodate up to 100 people when arranged for a banquet.